After the increase in awareness amongst the public for all things astronomical, it’s apparent that stargazing from home is on the rise. However, it can be daunting if you’re just starting out. Well fear not, as our new series of events "Introduction to Astronomy" are designed to help get you started with the basics. Using our state of the art facilities we will set you all of on a journey of discovery, and of course if it’s clear, we will use our big telescopes to observe the sky, and if not then we have the technology to bring it all alive. Our new series of introductory events wouldn't be complete without the reurn of one of our most popular holiday time events for parents and the young scientists they accompany. Our Space Kids events are designed to inspire, enthuse and educate, in a way the youngsters will never forget. The day starts with a brief talk and questions from you, our audience, which our astronomers will endeavour to answer; though with some of the questions we get from young minds it's even a challenge for us! There will be a full tour of our two observatories and a chance to see, play with and drive our big telescopes! There may be time for us to touch real rocks from space, meteorites from the Moon, Mars and the asteroid belt, some of which are even older then the planet you're stood on right now. Depending on the season and the weather, if there's time, we may be taking a look at the skies to see what we can observe. 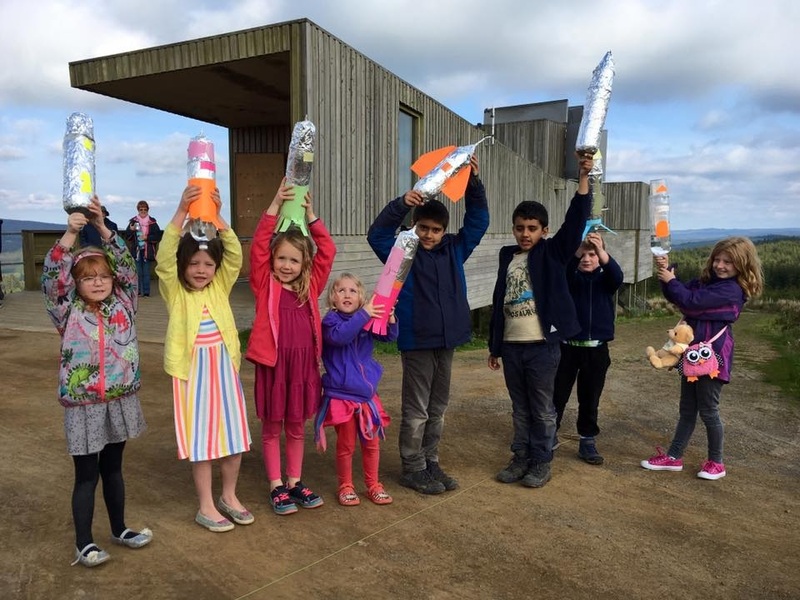 Then rocket making, we turn Kielder in to mission control, and teach you how to build and launch your own rockets. A fun packed few hours of wonder and real discovery. Please be aware all children must be accompanied by an adult, all of whom must have a ticket.